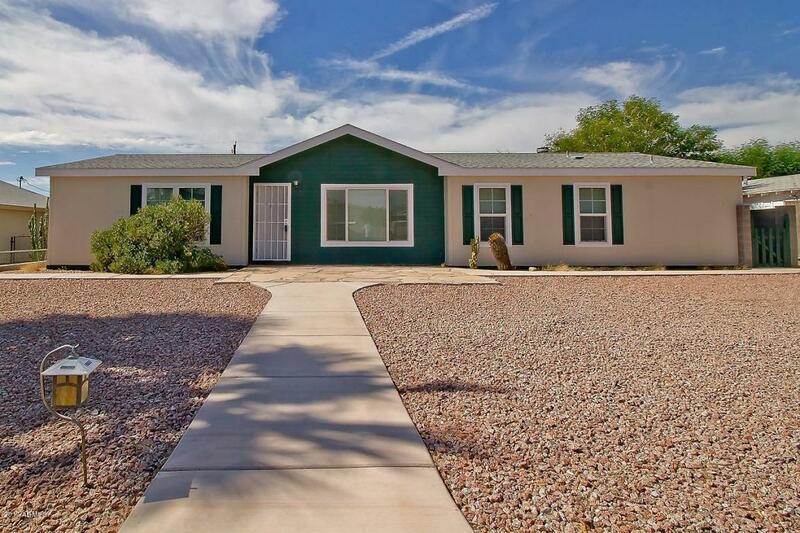 This spacious 1831 sq ft. 3 bedroom 2 bath home will impress. The kitchen is a delight with upgraded cabinets, plenty of counter space & even a breakfast bar. The family room is great for entertaining or enjoying a cozy evening. It has a fireplace, vaulted ceiling, & an upgraded fan. The master bedroom is split from the other bedrooms & is quite spacious. The master bathroom has dual sinks, a separate shower a large tub to soak & relax in, & even a walk-in closet. The built in desk and cabinets are perfect for a home office. Bedroom 2 has a walk-in closet & bedroom 3 has a large closet. The backyard is perfect for entertaining family & friends. It has a large covered patio, built in exterior fireplace for ambiance, an RV gate & RV parking for toys. There is even a large storage shed.